This research paper is valuable for an understanding of the Coca plant in several important ways. First, it makes very clear that the alkaloid Cocaine along with other beneficial alkaloids present in varying concentrations in dozens of species of genus Erythrolylum, not just in the Coca plant of the Andes most closely associated with Cocaine production. These Cocaine and alkaloid-rich wild species are broadly distributed – principally but not exclusively in South America. 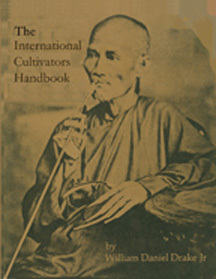 You’ll find an entire chapter in the Coca Cultivators Handbook dedicated to this topic. An interesting aside – not mentioned by the authors of this study – is that in the 1800s there were dedicated efforts to cultivate Coca plants in many parts of the world including Puerto Rico, the Dominican Republic, Costa Rica, Mexico, Java, Algeria, and the Western US, so it is highly likely that if one looked carefully one would find wild, escaped descendants of the original plantings in at least some of those places today. Another thing that makes this research interesting is that the experiments were conducted on leaves of wild Erythroxylum species used botanical samples collected many years ago and kept since in collections in various research institutions. In other words, the samples tested were 30-50 years old! The fact that the researchers found Cocaine in dozens of species by examining specimens that old begs the question – what is the Cocaine and beneficial alkaloid concentration in fresh specimens of these wild species? Since it is well-known among indigenous Andean people that fresh Coca leaves are superior to even year-old leaves, you have to think that fresh leaves from some of the wild species identified in this study would make a very nice Coca Leaf tea. But the real “Wow!” factor to me in this research is that of the dozens of wild species of the genus Erythroxylum scattered around the world at least some have most or possibly all of the alkaloid and other plant constituents that provide the well-documented health benefits of the Erythroxylon Coca of the Andes. While the authors of this study found that almost all of the wild species that contained Cocaine had very small amounts, you have to wonder what a little TLC (tender loving cultivation) would do to the alkaloid content of at least some of these wild species? Here’s an interesting answer to that question – a study of the alkaloid content of Peruvian and Bolivian Coca Leaf teas. 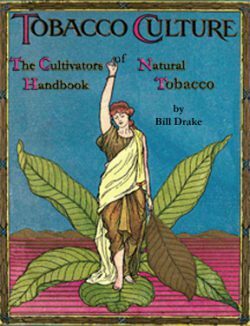 Who knows – this news might just inspire a whole new generation of PharmaBotanists to go forth and seek out these apparently 100% legal plants and in the process drive the DEA stark raving bonkers – not that they aren’t already. Oops! It’s already happening. It seems that there are some very smart folks at work in the Andes coming up with new varieties of plants that don’t look anything like Coca but that produce Cocaine like a champ. Of course this is driving the Narcs crazy, but what did they expect? The small furry creatures will always stay one step ahead of the dinosaurs, which is why they will ultimately survive while the monsters crawl into their caves and go extinct. Which brings me to another very valuable aspect of this research. The scientists not only tested decades-old leaves of wild species, they also tested contemporary Coca Leaf Tea products from Bolivia and Peru. Their findings should encourage anyone who is interested in using these readily available (in Bolivia and Peru) commercial products for dealing with health issues because the researchers conclude that some of the products sold in Bolivia and Peru are “pure Coca leaf” and others, even the “de-cocainized” products that are sold in the US (check Amazon), not only are not completely “de-cocainized” but they appear to still have a leaf chemistry profile that indicates they should be at least minimally effective for some therapeutic uses. The Teas available in the US are definitely not anywhere as effective as pure, natural whole Coca leaf – but they are not altogether useless either. And (some of) the commercial Coca Leaf teas produced and sold in both Bolivia and Peru are pure, natural Coca Leaf – the way the great spirit of Mama Coca made them. Final comment – although I have included information from the original article on the testing procedures the scientists used in working on all of the Wild Coca species, I have left out their extensive data tables for the sake of both brevity and simplicity. However I have included their valuable list of references for readers who might like to follow up. Cocaine distribution was studied in leaves of wild Erythroxylum species originating from Bolivia, Brazil, Ecuador, Paraguay, Peru, Mexico, USA, Venezuela and Mauritius. Among 51 species, 28 had never been phytochemically investigated before. Cocaine was efficiently and rapidly extracted with methanol, using focused microwaves at atmospheric pressure, and analysed without any further purification by capillary gas chromatography coupled to mass spectrometry. Cocaine was reported for the first time in 14 species. Erythroxylum laetevirens was the wild species with the highest cocaine content. Its qualitative chromatographic profile also revealed other characteristic tropane alkaloids. Finally, its cocaine content was compared to those of two cultivated coca plants as well as with a coca tea bag sample. The last 30 years have seen an increasing interest in cocaine analysis resulting from its expanding illicit use in Western Europe and North America. Regardless of the importance of cultivated coca plants from an economical point of view, these species always played a key role for South American natives (Grinspoon and Bakalar, 1981; Naranjo, 1981; Schultes, 1981; Plowman, 1984a). Coca chewing in South America has persisted from ancient times, but is still poorly understood from many points of view. This traditional habit is largely considered noxious by many regulatory authorities. The family Erythroxylaceae is composed of four genera: Aneulophus, Erythroxylum, Nectaropetalum and Pinacopodium (Hegnauer, 1981). The genus Erythroxylum, by far the most well know genus of the family comprises roughly 230 species of tropical trees and shrubs, which are widely distributed in South America, Africa and Madagascar (Plowman and Hensold, 2004). In 1907, Schulz divided this genus into 19 sections, providing a useful scheme for comparative phytochemical considerations. Erythroxylum and more particularly Erythroxylum coca and Erythroxylum novogranatense, as well as their varieties, is the only natural source of cocaine (Plowman, 1984b). Even if some attention has been focused on non-cultivated Erythroxylum species for the possible presence of cocaine, systematic investigation of the genus is still incomplete and several species used in traditional medicine remain unknown (Evans, 1981). Aynilian et al. (1974) reported the concentration of cocaine in herbarium specimens of seven Erythroxylum species. Holmstedt et al. (1977) analysed 62 samples of 13 tropical South American species by capillary gas chromatography coupled to mass spectrometry (GC-MS). Cocaine was found only in the leaves of two species, Erythroxylum coca and Erythroxylum novogranatense, but no measurable amount of cocaine was detected in any of the other 11 species. Subsequently, Plowman and Rivier (1983), using more sensitive assays, detected trace amounts of cocaine in 13 neotropical wild Erythroxylum species representing five sections of the genus. Besides, they found that two species from Venezuela, namely Erythroxylum recurrens and Erythroxylum steyermarkii, contained cocaine amounts comparable to those found in cultivated species. This study is part of a large investigation of the genus Erythroxylum for tropane and related alkaloids (Brachet et al., 1997, 2002; Christen et al., 1993, 1995; Brock et al., 2005). a coca tea bag sample. Most species were collected in South America between 1979 and 1984 by the late T. Plowman and kindly provided by Dr. Laurent Rivier (Lausanne, Switzerland). Two species originating from sites other than South America were also included in this study, namely Erythroxylum areolatum from the Bahamas (USA) and Erythroxylum macrocarpum from Mauritius. A voucher specimen of all plants is deposited at our Institute. For each species, only the leaves were analysed. Dry plant material was ground to a fine homogenous powder by a ballmill (MM 200 RETSCH, Switzerland) and finally sieved to an average particle size of less than 125 m.
Cocaine hydrochloride (COC) and Methadone hydrochloride (MET) were obtained from Siegfried Handel (Zofingen, Switzerland) and H¨ansler (Herisau, Switzerland), respectively. Extractions were performed using focused microwaves at atmospheric pressure at a frequency of 2450MHz using a Soxwave 3.6 apparatus (Prolabo, France) with a programmable heating power. Typically, 100 mg of powdered plant material was placed into a 20mL quartz extraction vessel and hydrated with 10L of water prior to the addition of 5mL methanol. The extraction was carried out at 125W for 30 seconds. Each extract solution was filtered on a 0.45 mm PTFE filter (Brachet et al., 2002). Solutions obtained from wild species were evaporated to dryness and taken up in 1mL methanol containing 10 ppm internal standard (methadone), while solutions from cultivated species were diluted four times with methanol. All samples were analysed by GC-MS without any further purification. GC-MS analyses were carried out using a Hewlett-Packard 5890 series II chromatograph coupled to a HP 5972 mass selective detector (Agilent Technologies, Palo Alto, CA, USA). The mass detector operated in the electron impact ionization mode at 70 eV. Injections were performed in the splitless mode at 250o C with a splitless period of 60 s and with purge and septum purge flow rates of 30 and 3 mL/min, respectively. Injections of 1 L were carried out with a HP 6890 series fast automatic liquid sampler (Agilent Technologies). A laminar liner (Restek, Bellefonte, PA, USA) was used as well as a standard syringe with a 42mm long needle and a cone tip. Helium was used as carrier gas and operated in the constant flow mode (1 ml/min). For qualitative analysis, a HP5-MS column, 30 mm×0.25 mm i.d.× 0.25 mm film thickness was used with an initial oven temperature of 70 ◦C (1 min hold) and a linear temperature program from 70 to 285o C at 5 o C/min and hold at the final temperature for 15 min. Spectra were recorded in the mass range 30–500 Th with 1.3 scan/s and the MS transfer line was set at 280 o C.
For quantitative cocaine analysis, the oven was initially set at 70 ◦C (1 min hold) and linearly increased to 285 o C (5 min hold) at 30 ◦C/min. GCMS (SIM mode) was performed using the selective ion 303 Th (molecular ion of cocaine), the qualifier ion 272 Th and the target ion 182 Th (base peak of cocaine). Methadone (MET) was used as internal standard with target ion 294 Th (molecular ion) and qualifier ion 72 Th (base peak of methadone). In order to enhance sensitivity, the potential of the electron multiplier was increased by a 400V increment for a period of time of 2 min which included elution of the internal standard and cocaine. Standard calibration curve was obtained with cocaine solutions at seven concentration levels between 0.1 and 100 ppm (0.1, 0.5, 1, 5, 25, 50 and 100 ppm) containing a fixed concentration (10 ppm) of methadone. Quantitative determination was based on the peak area ratio of the target ions of cocaine over methadone. A correlation coefficient of 0.9992 was obtained. three cocaine ions were detected at the corresponding elution time (between 9.55 and 9.57 min). Before any discussion of the results, it is important to emphasize that the time elapsed between plant harvesting and analysis is between 20 and 25 years. Since it is believed that a cocaine leaf content may vary with time, the quantitative results reported should be viewed from that perspective despite the fact that the preservation of cocaine in Erythroxylum coca leaves has been shown in 44 year-old herbarium samples (Aynilian et al., 1974). A straightforward sample preparation method involving focused microwave-assisted extraction (FMAE) was used as already described by Brachet et al. (2002). This procedure was particularly well suited for mass limited samples, as it required no more than 100 mg of fine powdered plant material. Indeed, sample amounts of the various examined species at our disposal varied between a few hundred milligrams and a hundred and fifty grams. Furthermore, this method was extremely rapid (30 s), required low amount of organic solvent (5 mL) and thus allowed the extraction of numerous samples in a short period of time. In addition, it is environmentally friendly and does not necessitate additional sophisticated sample treatment before analysis. investigated previously. According to the age of the investigated plant material and due to the low cocaine content, concentration ranges rather than exact concentrations are reported. Four domains, expressed in percentage of cocaine per gram dry mass, have been defined, namely: (++++) >0.005%; (+++) 0.001–0.005%; (++) 0.0005–0.001%; (+) 0.0001–0.0005%. The LOQ of the method turned out to be 0.0001% of cocaine per gram dry leaf. Retention time repeatability on the target ion (182 Th) was excellent (R.S.D. = 0.01%, n = 6) considering the high oven temperature program rate used for quantitative analyses. Fig. 1 shows the extracted ion profiles in the case of Erythroxylum argentinum, which was the wild species with the lowest quantified cocaine content. It demonstrates the specificity of the method, which requires the simultaneous presence of the three cocaine ions, together with the precise retention time. Cocaine was detected in 23 of the 51 species examined. All the investigated sections except one (Pachylobus) contained at least one cocaine-producing species. This suggests, as indicated by previous studies (Aynilian et al., 1974; Plowman and Rivier, 1983), that cocaine is widely distributed among the genus Erythroxylum, irrespective of the sections. Fourteen species are reported to contain cocaine for the first time – Erythroxylum amazonicum, Erythroxylum citrifolium, Erythroxylum laetevirens, Erythroxylum argentinum, Erythroxylum cumanense, Erythroxylum densum, Erythroxylum frangulifolium, Erythroxylum subrotundum, Erythroxylum cuneifolium, Erythroxylum divaricatum, Erythroxylum gonocladum, Erythroxylum andreii, Erythroxylum aturense, and Erythroxylum confusum. Among them, Erythroxylum laetevirens, a shrub with pale-greenish flowers and green fruits, was the wild species with by far the highest cocaine content (0.011% dry weight). Thus, its alkaloid profile was accurately determined and compared with those of two cultivated Erythroxylum coca species, as well as with a “Mate de coca” commercially available on the market in La Paz in Bolivia. of coca leaves, but not from the Ipadu variety (Plowman, 1981; Schultes, 1981). According to Engelke and Gentner, 1991, herbal tea bags sold under the name “Health Inca Tea” or “Mate de Coca” are commercially available since 1981 in Peru. The authors mentioned that the investigated tea bags were produced and packed in Peru from the leaves of Erythroxylum novogranatense var. truxillense by a national enterprise. Even if the product was claimed to be decocainized, the percentage of cocaine present in the plant tissue raised up to 0.37%, corresponding to about 3.7 mg of cocaine per tea bag. Similarly, Jenkins et al. (1996), analysed coca tea bags from Peru and Bolivia and indicated that cocaine, benzoylecgonine, ecgonine methyl ester and trans-cinnamoylcocaine were present in variable quantities. Finally, as Erythroxylum laetevirens had not been investigated previously, a qualitative chromatographic profile of its alkaloid content was carried out and compared with those of cultivated coca species. All chromatographic profiles displayed a similar tropane alkaloid pattern. Indeed, hygrine, anhydro-ecgonine methyl ester, ecgonine methyl ester, cocaine, and two characteristic cinnamoylcocaines were unambiguously identified in all samples. The material that appeared between 20 and 27 min in all chromatographic profiles consisted mainly of fatty acids. latter species was very similar to that of cultivated coca species. In particular, the characteristic cinnamoylcocaines were present. Comparison of GC profiles and quantitative results showed that the so-called “Mate de coca”, also known as “Health Inca tea”, was mainly composed of pure coca leaves. Consequently, the consumption of coca tea will result in ingestion of varying amounts of cocaine, together with other related tropane alkaloids. Before any overall chemotaxonomic conclusions are drawn regarding the occurrence of cocaine throughout the genus, further phytochemical investigations on more species are required. It appears from the present study that Cocaine, even in trace amounts is not specifically produced by species belonging to a single section of the genus. Rather, it is widely distributed and thus cannot be used as a specific marker for the genus. Besides classical botanical or chemotaxonomical approaches, some recent progress has been made in using DNA profiling to characterize the cocaine-producing species (Johnson et al., 2003). This technique, applied to the whole genus, should significantly help to revise the classification of the species within the Erythroxylum genus. The authors are indebted to Dr. L. Rivier who kindly provided the samples collected by the late Dr. T. Plowman, and who encouraged us to pursue this phytochemical investigation on the Erythroxylum genus. Al-Said, M.S., Evans, W.C., Grout, R.J., 1986. Alkaloids of the genus Erythroxylum. Part 6. Alkaloids of Erythroxylum macrocarpum and E. sideroxyloides. Phytochemistry 25, 851–853. Aynilian, G.H., Duke, J.A., Gentner, W.A., Farnsworth, N.R., 1974. Cocaine content of Erythroxylum species. Journal of Pharmaceutical Sciences 63, 1938–1939. Brachet, A., Munoz, O., Gupta, M., Veuthey, J. – L., Christen, P., 1997. Alkaloids of Erythroxylum lucidum stem-bark. Phytochemistry 46, 1439–1442. Brachet, A., Christen, P., Veuthey, J.- L., 2002. Focused microwave-assisted extraction of cocaine and benzoylecgonine from coca leaves. Phytochemical Analysis 13, 162–169. Brock, A., Bieri, S., Christen, P., Dräger, B., 2005. 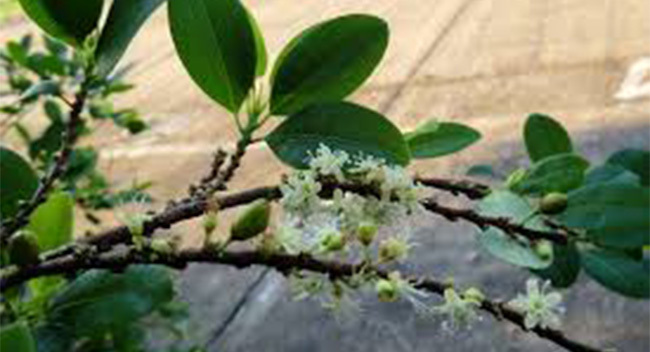 Calystegines in wild and cultivated Erythroxylum species. Phytochemistry 66, 1231–1240. Christen, P., Roberts, M.F., Phillipson, J.D., Evans, W.C., 1993. Alkaloids of the genus Erythroxylum. Part 11. Alkaloids of Erythroxylum zambesiacum stem-bark. Phytochemistry 34, 1147–1151. Christen, P., Roberts, M.F., Phillipson, J.D., Evans, W.C., 1995. Alkaloids of Erythroxylum monogynum root-bark. Phytochemistry 38, 1053–1056. El Sohly, M.A., Stanford, D.F., El Sohly, H.N., 1986. Coca tea and urinalysis for cocaine metabolites. Journal of Analytical Toxicology 10, 256. Engelke, B.F., Gentner, W.A., 1991. Determination of cocaine in “Mate de Coca” herbal tea. Journal of Pharmaceutical Sciences 81, 96. Grinspoon, L., Bakalar, J.B., 1981. Coca and cocaine as medicines: an historical review. Journal of Ethnopharmacology 3, 149–159. Hegnauer, R., 1966. Chemotaxonomie der Pflanzen, vol. IV. Birkh¨auser Verlag, Basel, pp. 95–97. Hegnauer, R., 1981. Chemotaxonomy of Erythroxylaceae (including some ethnobotanical notes on Old World species). Journal of Ethnopharmacology 3, 279–292. Holmstedt, B., Jäätmaa, E., Leander, K., Plowman, T., 1977. Determination of cocaine in some South American species of Erythroxylum using mass fragmentography. Phytochemistry 16, 1753–1755. Jackson, G.F., Saady, J.J., Poklis, A., 1991. Urinary excretion of benzoylecgonine following ingestion of Health Inca Tea. Forensic Science International 49, 57–64. Jenkins, A.J., Llosa, T., Montoya, I., Cone, E.J., 1996. Identification and quantitation of alkaloids in coca tea. Forensic Science International 77, 179–189. Johnson, E.L., Saunders, J.A., Mischke, S., Helling, C.S., Emche, S.D., 2003. Identification of Erythroxylum taxa by AFLP DNA analysis. Phytochemistry 64, 187–197. Naranjo, P., 1981. Social function of coca in pre-Columbian America. Journal of Ethnopharmacology 3, 161–172. Plowman, T., Rivier, L., 1983. Cocaine and cinnamoylcocaine content of Erythroxylum species. Annals of Botany (London) 51, 641–659. Plowman, T., 1981. Amazonian coca. Journal of Ethnopharmacology 3, 195–225. Plowman, T., 1984a. The origin, evolution, and diffusion of coca, Erythroxylum spp., in South and Central America. Papers of the Peabody Museum of Archaeology and Ethnology 76, 125–163. 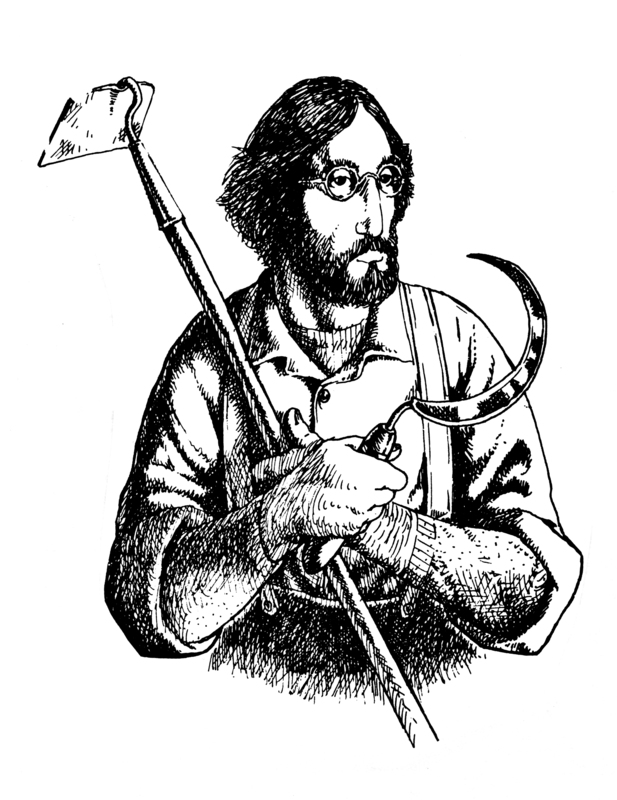 Plowman, T., 1984b. The ethnobotany of coca (Erythroxylum spp., Erythroxylaceae). Advances in Economic Botany 1, 62–111. Plowman, T., Hensold, N., 2004. Names, types, and distribution of neotropical species of Erythroxylum (Erythroxylaceae). Brittonia 56, 1– 53. Rivier, L., 1981. Analysis of alkaloids in leaves of cultivated Erythroxylum and characterization of alkaline substances used during coca chewing. Journal of Ethnopharmacology 3, 313–335. Schultes, R.E., 1981. Coca in the northwest Amazon. Journal of Ethnopharmacology 3, 173–194. Schulz, O.E., 1907. Erythroxylaceae. In: Engler, A. (Ed. ), Das Pflanzenreich, fourth ed. Englemann, Leipzig, pp. 1–176. Siegel, R.K., Elsohly, M.A., Plowman, T., Rury, P.M., Jones, R.T., 1986. Cocaine in herbal tea. Journal of the American Medical Association 255, 40. Zuanazzi, J.A.S., Tremea, V., Limberger, R.P., Sobral, M., Henriques, A.T., 2001. Alkaloids of Erythroxylum (Erythroxylaceae) species from Southern Brazil. Biochemical Systematics and Ecology 29, 819–825. Tags: alkaloids in Coca leaf, coca alkaloids, coca leaf tea, Coca Tea, Cocaine, cocaine in coca tea, ethnopharmacology, is there cocaine in coca tea, laboratory analysis, Mate de Coca, Wild Coca Plants | Permalink.